Sometimes you’ll find that pages on your website get indexed by Google that you don’t necessarily want to get indexed. This is usually seen in CMS-based websites like WordPress which automatically generate a lot of subpages and directories automatically. These pages won’t likely get your site penalized, but sometimes they can rank above other content for brand-related searches, effectively clogging up your site’s presence in the SERPs. There are a few quick tips to prevent this from happening and to clean things up if they’ve already happened. I find WordPress to offer one of the easiest and most cost-effective means of building websites. It offers user-friendly interfaces, powerful extensibility, and a strong base of user and developer support. One of the downsides, however, is that it requires some rather mundane customization out of the box before being well-suited for most businesses. The upside is, these are all quick customizations that don’t involve any coding and can quickly turn your website into an SEO optimized treasure. WordPress accommodates a broad range of uses and therefore is often seen to have a bit of bloat. One such example of this is the automatically generated Author archives, date-based archives, sub-page category archives, and tag-based archives. All of these will be indexed resources by Google unless otherwise specified. This can result in duplicate content issues as well as annoyingly cluttered results for brand-related searchers. For example, you wouldn’t want the archive of last May’s posts to outrank the front page of your latest blog posts—but it happens a lot! If you’re using WordPress, plugins like Yoast SEO offer great free solutions for quickly specifying a ‘no-index’ status for certain archives and directories, or even specific posts and pages. If you’re using other solutions, some simple additions to your robots.txt file can help solve your problem as well. Below are some examples in which these methods are leveraged. One of the easiest ways to get around this is by using a WordPress Solution for your website. Unless circumstance dictates otherwise, I frequently find that WordPress meets the needs of most small businesses with the exception of some eCommerce websites with deep categorical structures. WordPress makes life easy and cost-effective but you still have to be wary of certain caveats that come up during its use. WordPress has a core designed for multi-purpose use which was birthed out of the world of personal blogging. Features like author archives, tag-based archives, and sub-pages of archives are often unwanted additions to your website. These don’t get in the way of anything critical per-se, but add bloat and clutter from in the perspectives of web crawlers. 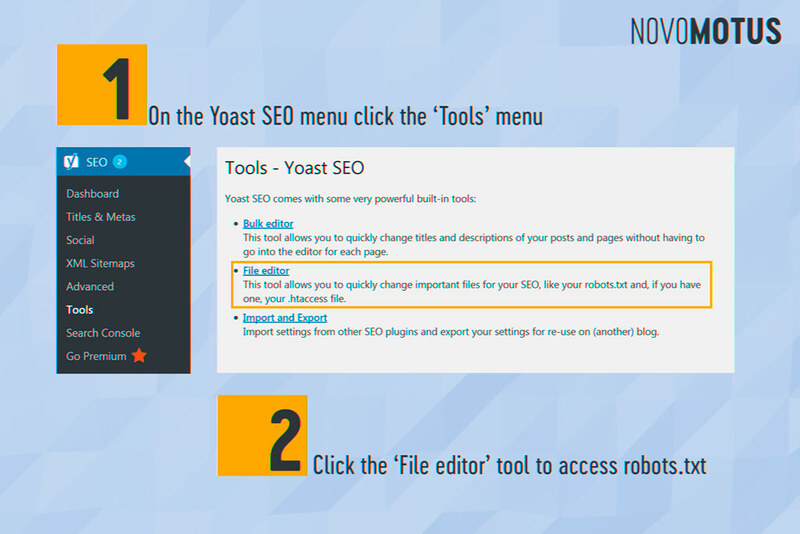 Yoast SEO allows for single click disabling archives and no-indexing of unwanted WordPress functionality. 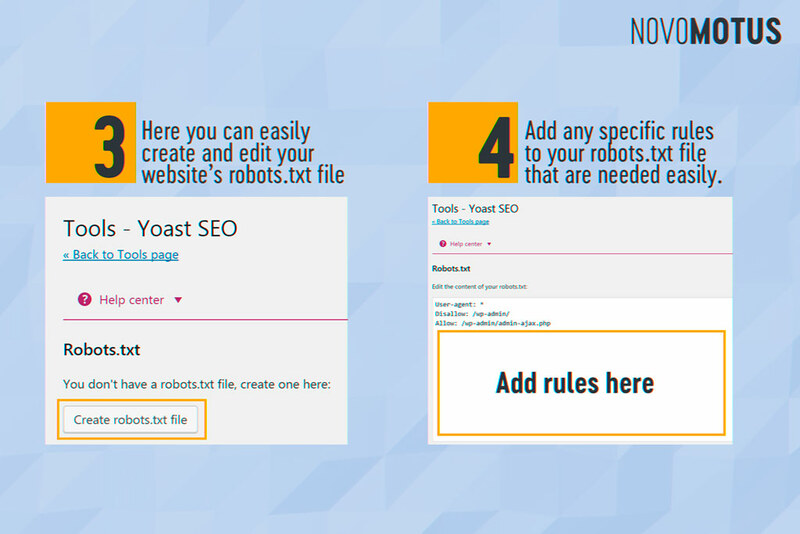 In addition, Yoast also allows for a robots.txt file to be quickly created and edited without the use of FTP. 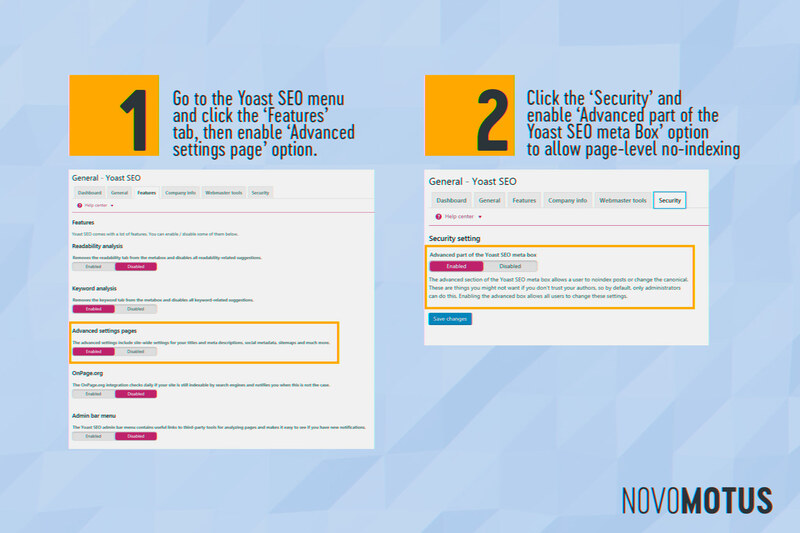 Below you’ll find a quick overview of implementing this solution by using the free Yoast SEO plugin for WordPress. With Google’s ever-deepening sense of awareness of websites, I generally find that robots.txt rules aren’t of much necessity on WordPress-based websites anymore. 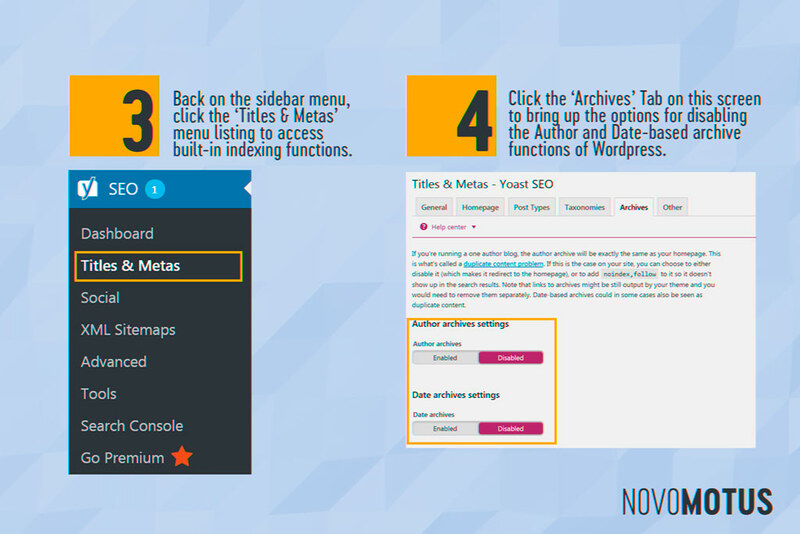 By using free plugins such as the Yoast SEO solution, you can disable entire archive sections such as date-based and tag-based archiving, and even specify on individual pages whether or not you want search engines to index them. For the vast majority of websites, this solution handles 90% of the work for 5% of the effort. 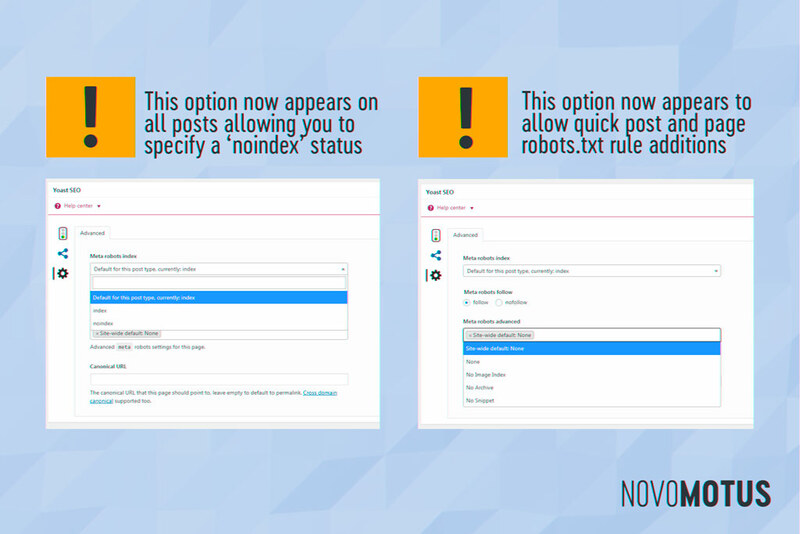 To learn more about how and when to use robots.txt rules, I suggest you check out this article by Yoast himself which offers a little further insight on the matter. He makes a strong case for avoiding much attention to the robots.txt file at all, citing the potential to block crucial resources used by certain plugins and other site features. I tend to agree that this is suitable for the vast majority of cases involving small and medium-sized business websites without large amounts of complexity. WordPress isn’t always the best solution for a business, and isn’t the perfect SEO solution out-of-box either. With the addition of some simple free plugins such as Yoast SEO however, you can effectively control some very critical structural aspects of your website. This can help de-clutter your site, avoid duplicate content, and make branded searches more likely to return your top pages. If you’re new to SEO, or are trying to revamp your business website to compete online, a WordPress + Yoast SEO combination can offer you deadly force with minimal investment. To get everything mentioned in this post set up on a new WordPress website, you’re looking at about 5 minutes of time with the ability to dynamically change things on the fly moving forward.